F.A.Q.’s: Which printer do you use? Long answer: I use the Canon image PROGRAF 5100 for many reasons. 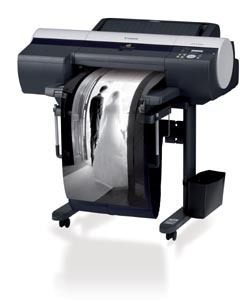 The first is the Lucia 12-color pigment ink system that produces vivid colors and archival levels of longevity. The second is that it can handle rolls rather than just sheets of paper which enables me to use a thick cotton rag Hahnemühle paper for my prints. The third is that it has a special print plug-in for Photoshop that allows you to export 16-bit RGB files directly to the printer. Printing at 16-bit produces higher quality images particularly with regard to areas of color with smooth graduations e.g. an expansive blue sky. I love this printer and have recommended it to fellow photographers and artists. this is a big machine which will take up a large chunk of your room, not just your desk (It comes with it’s own forklift pallet). The printer is expensive and the ink cartridges, of which there are 12, are close to $80 each (a shocking £95 in the U.K.). This is a case of you get what you pay for, but it is worth considering if your clients or customers are willing to pay for such quality. Also be aware that the printer cartridges are chipped and only work with printers from the same region and due to it’s huge weight it isn’t the kind of thing that you could ship very easily. As a specialist item the printer isn’t on sale at most photographic outlets however it is available at B&H or Amazon.com in the US and Amazon.co.jp in Japan.